Unique Astrology gift book gives humorous insight into Leo personality. Click Here! With proud Leo as your star sign, the Sun blazed in a masculine sign on your birthday. The Sun in astrology stands for our essential nature, the true stamp of our character. The fifth sign of the Zodiac, Leo is ruled by the life-giving Sun, the lord of our solar system. A fixed (strong and solid) sign, Leo governs will and authority. It is a fire sign, which means Leo people are grand, confident and generous, although you tend to be egocentric and can be somewhat overbearing. Click this to test your compatibility with all signs, or check out these signs, the most compatible for relationships with Leo! They are compatible with Leo. Glamorous Leo enjoys a thoroughgoing love of life and all its pleasures. As the Sun bestows light and life without favour, the benefactor of every living thing on this earth, so you, genial host and natural entertainer, get inordinate pleasure from helping others enjoy life as much as you do. Enthusiasm, generosity and your sunny disposition inspires the affection of many friends and admirers, while turning those with less popular personalities green with envy. Though full of ambition and enthusiasm, Leo has to admit to a lazy streak and, given the opportunity, will take the easy way out, especially when a situation offers little fun or glory. This is something lazy, luxurious Leo needs to watch. Determined Leo, a fixed sign, can be rather stubborn and resistant to imposed changes. In many ways this is a plus, for it gives you the stamina to accomplish things in life, due to your tenacity. You can stick with projects when other more easily distracted souls lose concentration or interest. This stubbornness, which you prefer to think of as consistency and determination, is, however, dictated more often than not by your ego. It is easy for pleasure-loving Leo to become addicted to rich food, and as the cat gets older you find yourself putting on weight. Your gregarious nature makes it hard to enjoy or stick to boring, solitary physical fitness routines, but you may not mind dressing up in flashy gym outfits and joining an exercise class. Dancing, swimming, and tennis are your favourites, though you are quite keen on sports of all kinds. Playing to the grandstand when starring on the field is an everpresent temptation, but perhaps you ought to remember, in team sports even the king of beasts is still supposed to be part of a team. Arts and crafts, theatre groups, philanthropic societies and religious organizations attract your interest and participation. 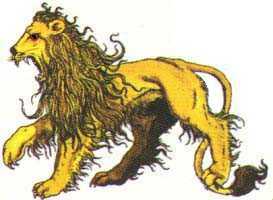 Leo rules the back and heart, so people with Leo active in their charts are subject to over-exertion, general problems with stress in the back and ailments of the heart. You have a strong constitution and can usually overcome your problems, many of which are of your own making, due to overindulgence. Best colours are gold, royal purple, and orange. Leo rules metallic gold, and your birthstone is the sardonyx. An appropriate representative of Leo's versatile, creative personality, the intriguing sardonyx is a variety of agate that exists in many colours and can be cut in many ways. One of the special ways it is used is in making cameos. 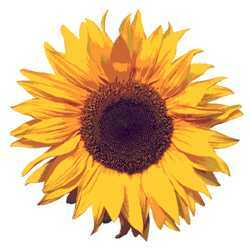 Flowers for Leo include the showy dahlia, yellow lily, red poppy, marigold, sunflower, and heliotrope.